Since 2009, Singapore government has cut down the number of approved Singapore PR application by 50%. If you submit your application similarly like the rest, how are you going to convince the officials to approve yours? It is quite easy to search online for the procedures for Singapore PR application. However, the whole process is much more complex than you think. One small mistake in your documentation may get your entire application rejected. A permanent resident application requires a lot of time and effort. 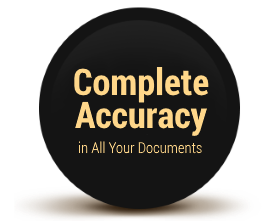 There are forms that need to be filled up correctly and documents to be compiled properly. The amount of paperwork can be very overwhelming and disheartening. 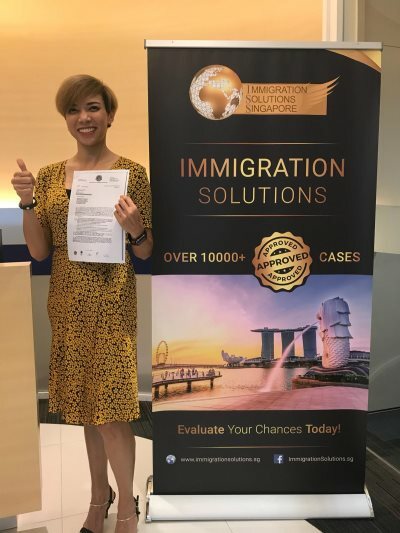 Many applicants fail because they have no idea how the Immigration & Checkpoints Authority of Singapore (ICA) screens a Singapore PR application. At Immigration Solutions, you will learn about the PR screening process and how you can improve the chances of getting your permanent resident application approved. From 18th December 2017 onwards, all permanent resident applications have to be submitted through the e-PR online system and this whole process becomes very complicated. If you do not know how to answer any of the questions, you cannot proceed to the next question and your whole application cannot be submitted. Moreover, there is a time frame given to complete your Singapore PR application. 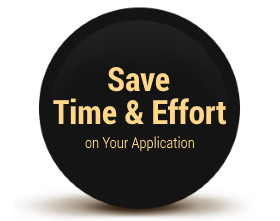 If you cannot complete within the given time frame, your whole application will be voided. At Immigration Solutions, we will complete all these questions and handle the entire application for you. A lot of people make mistakes in the compilation of documents during their Singapore PR application. For instance, applicants mix up their Statement of Account with Notice of Assessment for their income tax documentation, resulting in the rejection of their application. Most applicants also forget to translate their non-English documents into English, causing their permanent resident application to be rejected as well. At Immigration Solutions, we ensure your chances of success by preparing and checking all of your forms and documents, such that they comply with the ICA accepted standards. It is not just about how you blend in, but also how you stand out. There are plenty of applicants with better qualifications, higher salary or even younger than you. If you submit your Singapore PR application similarly like the rest, how are you going to convince the officials to approve yours? At Immigration Solutions, we help you prepare a list of essential additional documents to increase your chances of approval in your permanent resident application. We do not just handle the processing. We improve your approval chances. There is no face-to-face interview included during a Singapore PR application. The ICA officers will base your approval or rejection solely on the documents that you submit. At Immigration Solutions, we help you stand out from thousands of other applicants with a personalised immigration cover letter. This letter is not the same as the cover letter you write for your job application. For example, instead of saying what you hope to get from Singapore – scholarship, job, property – you need to focus on what you can give to the country. Being a permanent resident means that you and your family can live, work, and buy property in the country. You will be treated as a part of the local community, eligible to various benefits such as travelling in and out of the country without restrictions. Your school-going children will also have priority access to Singapore’s esteemed public education system. At work, your employer will be required to make monthly contributions to a compulsory pension scheme in your behalf. You will no longer have to acquire a new work visa every time you transfer jobs. While being a permanent resident gives you plenty of benefits and rights, the government will also have the power to enforce certain responsibilities upon you. One of which is military service, something that your sons (if they are also PR’s) are required to partake of once they reach the age of 18. What makes me eligible for a Singapore PR application? S Pass, Employment Pass, Personalised Employment Pass, and Entrepreneur Pass holders. Spouse of a Singapore citizen or Singapore PR. Unmarried children of a Singapore citizen or Singapore PR. Aged parents of a Singapore citizen. Student Pass holders. They must have resided in Singapore for at least 2 years. They must also have passed at least 1 national exam (i.e. PSLE or GCE ‘N’/’O’/’A’ levels) or are in the Integrated Programme. What is the success rate of your company for Singapore PR application? We are unable to provide you the current statistics as most applicants have not received their replies yet. However, for 2018, our success rate was projected to be high. The reason for our high rates is that we choose our clients. If we believe you are not eligible to begin with, we will not be taking your case. Can I get a Singapore PR application approved and stay out of Singapore for work commitment? Yes, but you will need to apply for a re-entry permit. This permit will be valid for five years. We usually advise our clients that for the first 3 years, they can do whatever they wish; but for the last 2 years, it would be best to stay and work in Singapore so that they can pay income tax and show the government their contribution. If you have no choice and are sent out of Singapore for work by your company, the ICA might ask you to explain your situation when it is time for your renewal. Do re-Entry permit renewals get rejected? 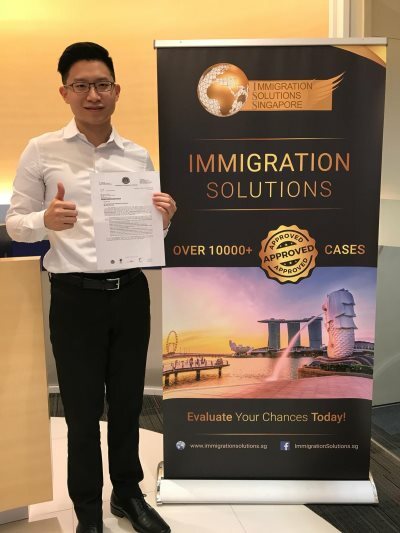 We had only seen renewals get rejected when the client did not stay in Singapore for a significant amount of time after being granted permanent resident status. The government approves permanent resident application because they believe in the individual’s long-term commitment to the country, which is why it is called “permanent residence.” But if you are always staying in Singapore and fulfilling your contributions, then it is highly unlikely that you will get rejected. Why is it harder to get Singapore PR application approved these days? Before 2009, Singapore PR was easily granted. Many people took advantage of this opportunity, using permanent resident status as a way to make money. They bought houses for investments, treating Singapore as a holiday home. In fact, some never bothered to return, work, or contribute to the country. This situation also caused overpopulation. So to counter these issues, the government became stricter with the whole process. They became more selective, only granting permanent resident to those who are truly worthy. Why did my Singapore PR application get rejected? We cannot determine the exact reason for the rejection of your permanent resident application as the ICA never specifies it. However, we can teach you about the factors that influence a Singapore PR application. My friend, who is just like me, got his Singapore PR application approved. Why did I get rejected? Offhand, it may seem like your case is exactly the same as your friend’s. However, there are surely big differences between your backgrounds. There are no two entirely identical cases. The ICA usually looks at your permanent resident application as whole but also checks every detail. Will my Singapore PR application gets rejected after engaging your services? Rest assured that we will help you to put your best case forward. After your permanent resident application is approved, we recommend you to keep all of your documentation copies, as you will be able to use it when applying for Singapore Citizenship in the future. What if my company does not want to support me in my Singapore PR application? The ICA considers the fact that some employers are unwilling to provide the Annex A document as their employees might leave them after being granted their permanent resident status. Try to convince your company, as it may increase your chances. However, don’t worry if they really don’t want to provide you with the document. The purpose of showing the Annex A is to prove that you are part of the company, which you can also do through other documents like pay slips and such. What if I lost my Bachelor’s Degree certificate? If you lose any of your compulsory documents, you will have to provide a declaration letter to explain your situation. We offer the service of drafting such letters. You don’t know me. How can you write my cover letter for my Singapore PR application? For your cover letter, our professional writer will call you and conduct a casual interview. We will need to understand your background better before writing. Once the first draft is completed, we will send you a copy for vetting and amend accordingly. If the cover letter and additional documents are so important, why doesn’t the ICA ask for it? If the ICA asks for a cover letter, everybody will be sending cover letters that have no real value. The same goes for the additional documents – applicants will just be clamoring to find as much paperwork as they can to support their case. The ICA does not require these things because it will take them a longer time to process everything. However, if you submit a cover letter and additional documents that are well planned out, each one contributing to your unique case, then your application will stand out. Why should I engage you to tell me what I need to submit for additional documentation? A lot of applicants make the mistake of submitting documents that do not have any relevance to their case. For instance, submitting your driving license does not help at all as it is such a common practice. Our experience with permanent resident application allows us to identify which additional documents can help increase your chances of getting approved. Does the ICA look at all my Singapore PR application documents thoroughly? We have to consider that ICA officials go through thousands of permanent resident applications on a daily basis. Still, rest assured that your documents will be reviewed in a fair manner. This is especially true if your documents are neat and orderly. Why are your Singapore PR application services expensive? Another company is charging a lower price. Agents: They usually provide services that you are fully capable of doing yourself. They help you fill up your Form 4A and tell you the compulsory documents to provide. These are things you can easily learn online. You get no real value from their support. Why pay for something that you can do by yourself? Consultancies: Consultancies often work the same way as law firms do. They possess the expertise to process your permanent resident application and provide added value in the form of practical advice. 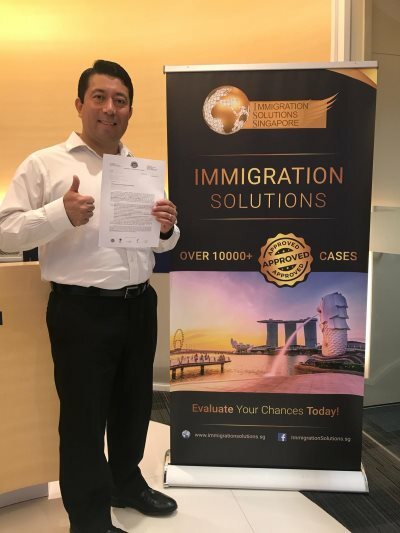 Immigration Solutions is the only local consultancy that specializes solely in acquiring Singapore PR and Singapore Citizenship. We possess a significant amount of knowledge and experience that can help you greatly. Law and Accounting firms: Law and accounting firms usually charge more than $5000. Their clients consist mostly of corporate entities. However, immigration is not their main business. 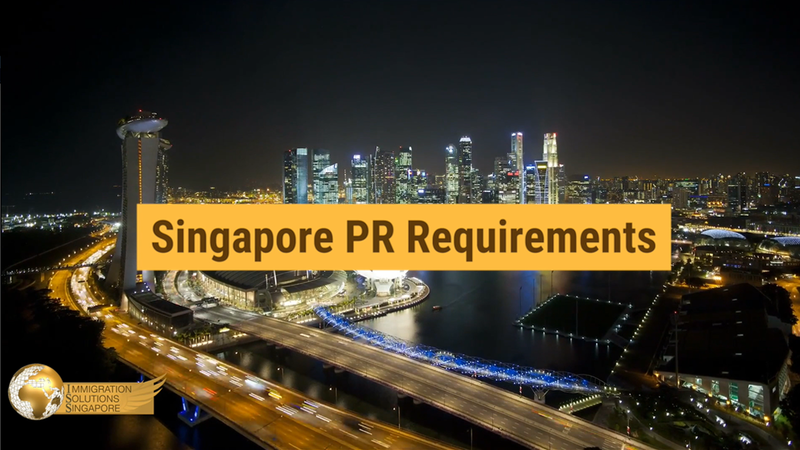 What is the Singapore PR application approval quota? The quota is confidential and adjusted periodically. The government only releases statistics on past quotas. For example, in the year 2010, the number of approved permanent resident applications was 29,265. What if the ICA rejects some of my documents in my Singapore PR application? You might encounter an ICA officer saying that they don’t need your additional documents, not because they are unimportant, but because they don’t want extra paperwork to process. With our guidance, you can make sure that the officer in charge will accept all your documents. What are the pros and cons of getting your Singapore PR application approved? There are many benefits to being a permanent resident, one of which is the affordable housing due to the lower stamp duty. A Singapore PR pays half the stamp duty compared to that of a foreigner, while a Citizen pays less than half of what a PR pays. Naturally, a permanent resident would be able to buy a HDB flat after three years, supposing the income does not exceed a certain amount. Another great perk is job stability. Employers generally prefer hiring a local (Singapore PR or Singapore Citizen) as it saves them the trouble of getting work passes. In addition, having more locals in the team means having a higher quota for hiring foreigners. You also get access to medical services and public education for you and your children as a PR. Lastly, there is the Central Provident Fund (CPF). The CPF acts like a retirement plan so that you can feel secure as you get older. You can use the CPF to pay for medical expenses, housing, and even investments. The companies that you become affiliated with are required to contribute to your CPF based on a percentage of your salary. This can seem negative to some people, as a portion of their incomes is automatically withheld and saved for future use. You will not have access to your CPF until the age of 52. Should you wish to leave and renounce your PR, you will be able to withdraw the full sum of your CPF. One con of being a Singapore PR is that your sons will have to be part of the National Service (NS). If you are currently on an expat package, another disadvantage would be that your company could adjust your salary package into local terms, which means you will no longer have added benefits such as housing and/or car allowance. In general, we believe that there are still more advantages to being a permanent resident than there are disadvantages. Ultimately, the choice is yours. We only wish to guide you in the best way that we can, using our years of expertise in the industry. Why should I apply for Singapore Citizenship instead of remaining as a Singapore PR? First, the stamp duty to purchase properties is lower for Singapore Citizens. Foreigners pay double of what a Singapore PR pays and a Singapore PR pays more than double of what a Singapore Citizens pay. Second, you get living and job security. The re-entry permit of a permanent resident has to be renewed every five years or so. Therefore, we usually advise our clients to stay in Singapore and work if they wish to continue being a permanent resident. If they do not reside and work within Singapore for a significant amount of time, their application for a re-entry permit might be rejected. On the other hand, Singapore Citizens are not necessarily required to stay or contribute to Singapore. They have more options available to them. Should my spouse and I submit our Singapore PR application separately or together? Even if your spouse is a holder of a valid work pass, we always recommend families to apply together, exhibiting the commitment to live in Singapore. Should I submit my Singapore PR application with my family if they are not with me in Singapore? It is always ideal to apply with your family to show unity and rootedness; that is, given that your salary is sufficient for the entire family to live with you comfortably. If you are earning less than $4000 a month, it may be better to apply for yourself first. Can I leave my son out of the Singapore PR application? I don’t want him to serve National Service. You may leave your son out of the application. However, the chances of your permanent resident application getting approved are always better when you include your whole family, in particular, your children. The government will see them as potential contributors to the society and the economy in the future. Can I renounce my son’s Singapore PR before he is eligible to be part of the National Service? On August 5, 2014 – the government released a statement that there will be consequences to those who renounce their Singapore PR in avoidance of being part of the National Service. We suggest that if you do not wish your son to undergo NS, keep them out of the application. Will I have to serve the NS if my Singapore PR application is approved? Singapore PR under the Professionals/Technical Personnel and Skilled Workers (PTS) Scheme or Investor Scheme are exempted from the NS. Male children who are granted permanent resident status under their parents’ sponsorship are liable for NS under the Enlistment Act. If my son is not in Singapore in the future when he becomes liable for National Service, can we defer it? Deferment is usually granted for those who pursue tertiary education. However, most eligible males are still expected to serve the nation before attending university. You will be free to write a letter asking for further deferment, but its acceptance is at the discretion of the Ministry of Defence. Should I first upgrade from S Pass to Employment Pass before my Singapore PR application? That is not necessary. As long as you are eligible for permanent resident application, you should go for it as soon as possible. My father/mother is a Singapore Citizen/Singapore PR, can they sponsor me? Your parents can only be your sponsor if you’re below 21 years of age. If you are past 21, you will have to apply on your own merits. I am on a Work Permit, but my parents are Singapore PR/Citizen, will it be easier for me to apply? If you only have a Work Permit, you will not be eligible to apply for Singapore Citizenship/Singapore PR. The basic requirement is that you should have an S Pass to apply. Once you are an S Pass holder, the fact that your parents are locals will give you an edge over the rest, but you will still have to apply for Singapore Citizenship/Singapore PR on your own merits if you are over 21. How can I get an S Pass? Your company will have to apply for the pass in your behalf. It depends on the company’s quota and your salary. Unfortunately, we are unable to help in this field. I have studied in Singapore before. Will this give me an advantage in my Singapore PR application? It all depends on where you studied. If you went to a local school (NUS, SMU, NTU, TP, NP, NYP, RP, SP, etc. ), you will have an edge over other applicants, as the ICA officials will take it to mean that you were able to successfully integrate with the local community. Having attended international schools or private institutes will not be as advantageous. What if I wish to change my job while ICA is still processing my Singapore PR application? It will not affect your chances, as long as you generally don’t switch jobs that often. The important thing is for the ICA to view you as a stable and responsible candidate. A letter explaining your current situation. A copy of your new work pass. Annex A from new employer.